I sketched this scene with a pencil that was harder than the one I used yesterday (4B used yesterday, HB used today). Making easy-to-see marks with a harder pencil takes more pressure than it does with a softer pencil. I don’t work well with harder marks, so the drawing below is not that easy to see. However this is a good image to rework with a softer pencil if time permits. 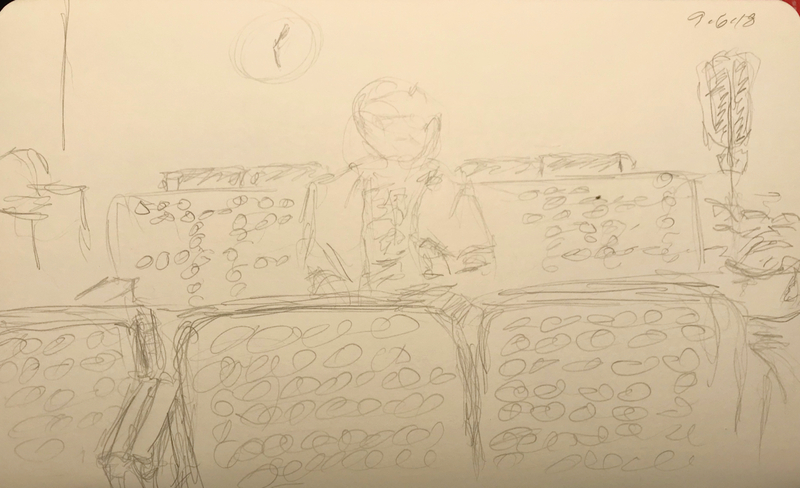 This entry was posted in Personal Stories and tagged art, artistic process, creative process, drawing, hard pencil, loner, pencil sketch, portrait, sketch, Waiting Room. Bookmark the permalink.